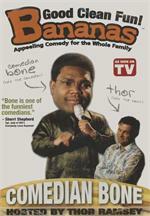 This episode of Bananas features the stand-up of Comedian Bone. Delivering comedy based on his everyday struggles, Comedian Bone really hams it up in this show. 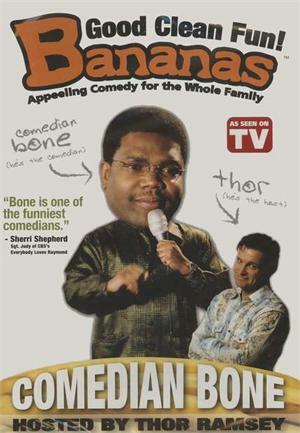 From his momma to his church, he tickles your funny bone along the way! 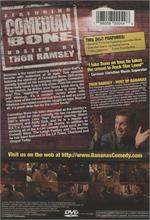 He has been described as the country's poster child for clean comedy. 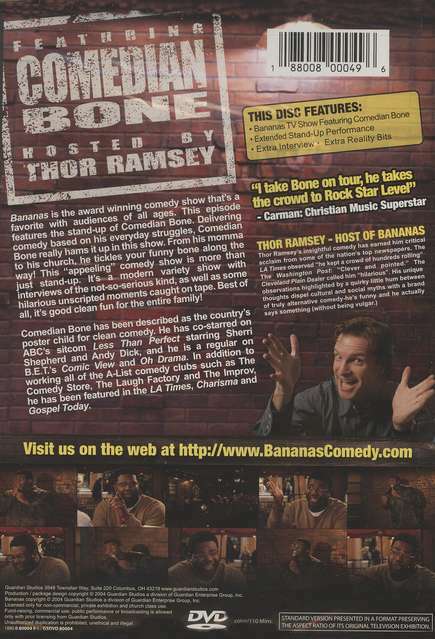 Bananas is more than just a guy on a stage. It's interviews of the not-so-serious kind, extended stand-up performance and reality bits. This favorite with audiences of all ages is pack with good clean fun! Approx. 110 minutes.